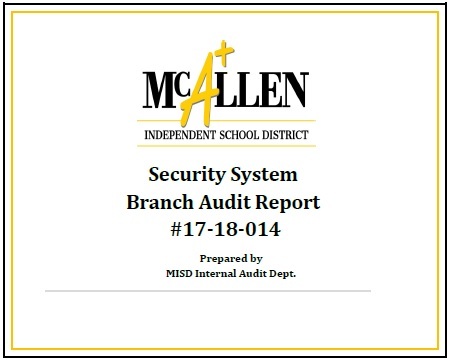 The good news for the City of McAllen is that it is not asking voters to approve this May anywhere near the (failed) $297 million bond proposal that McAllen ISD floated three years ago. Nor is it asking voters to pass the whopping $399.5 bond proposal that Fort Worth is asking residents to approve this May. Compared to those numbers, one might say that $25 million (total amount of two bond propositions) McAllen is asking for seems relatively tame. defense attorney, Michael McCrum, in an effort to push back Delgado’s scheduled May 7 Houston trial date. U.S. attorneys didn’t object to the motion, which means the earliest Delgado will face his accusers will take place in August. Trial dates for September and October were also mentioned in McCrum’s motion. In McAllen, said Rodriguez, the average home is currently valued at approximately $120,000. The two bonds are listed as propositions on the May 5 ballot: Proposition A, which is for $22 million for drainage improvements; and Proposition B, which is for $3 million in traffic improvements.